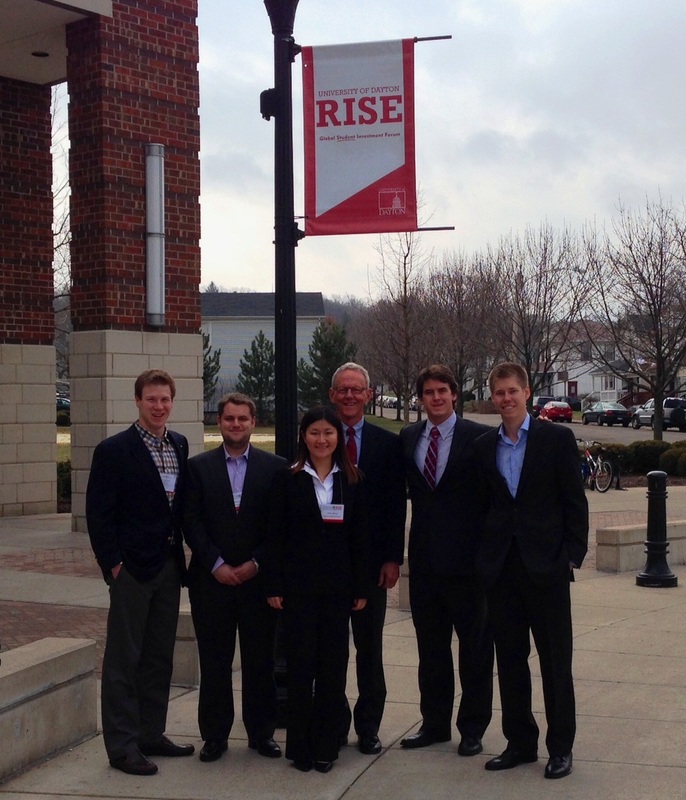 On March 27th and 28th, five COBA students along with Dr. Terry Pope attended the RISE Investment Conference at the University of Dayton. The conference was a two day event and included students, faculty, and practitioners from all over the world interested in the various areas of investment. On the first day of the conference, participants attended panels that featured leading investment speakers from around the world, including President Sandra Pianalto from the Cleveland Federal Reserve Bank, anchor Kelly Evans from CNBC, and Chairman Chief Investment Officer Bill Miller from Legg Mason. On the second day of the conference, participants attended breakout sessions, learning about equity evaluation, wealth management, foreign exchange trading, and technical analysis. Dr. Pope was excited to expose students to influential people with powerful roles on Wall Street. The students were able to hear from the experts about their day-to-day lives working in the investment world. COBA highly supports and encourages students attending business conferences like RISE to learn from experienced professionals practicing in the marketplace. 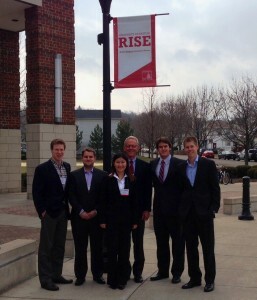 Dr. Terry Pope with COBA students Grant Wilson, Collin Graves, Bibb Frasier, Luke Luttrell, and Chloe Meung at the RISE Conference at the University of Dayton.